I’ve been testing this new version of Flipboard, which has some other improved features, over the past week or so, on several iPads and an iPhone. My verdict is the new features make a great mobile app even better. There are some limitations to the new capabilities, but they make your mobile device more personal and more of a creative tool, rather than just a means of consumption. For now, the new version is only available for Apple’s devices, but an Android edition is in the works. 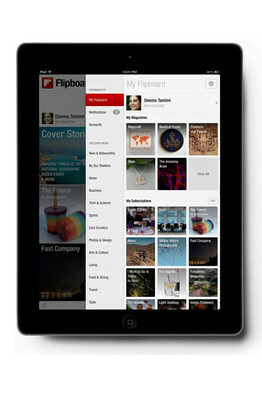 The original Flipboard, which is produced by a small, private Silicon Valley company of the same name, was aimed at helping people wade through the welter of information on social networks and the Web, by allowing them to corral posts on popular topics like, say, baking or basketball, into attractive collections. The company says that capability has earned it 50 million registered users and a smaller, but active, core group of millions who use it daily. I have long used Flipboard to follow tech and political news, or to leaf through everything posted on Twitter or Facebook by particular people or sites. These collections would update as new posts meeting the criteria appeared. If I had a collection about, say, the economy or smartphones, based on tweets on those subjects, it would stay current, showing me automatically any Web pages referenced within those tweets. With the new personal magazine feature, however, I can make my own Flipboard-hosted publications on particular topics of interest, handpicking the posts or articles I want to include, rather than relying on feeds or algorithms. And it’s easy to do. When you find a post, video or article you want to include in your magazine, you just click a plus button next to it, choose which of your magazines to “flip it” into and it appears in that magazine. The magazine only updates when you decide to update it with a new article, photo or video. The original creators are credited. During my testing, I made five magazines, some public and some private. Since these were just for testing, they weren’t carefully created. But I was impressed by how quickly I could produce them and how nicely Flipboard laid them out, with handsome cover photos, bold headlines and a logical arrangement of photos and articles. I made public magazines on the American Revolution, Ancient Wonders, the Boston Red Sox and my favorite current TV dramas. I also made a private magazine to store content I wanted to read later. This process is greatly helped by a much-enhanced search feature in Flipboard, which finds items both in Flipboard itself and in a long list of social networks and sites, such as Twitter, Facebook, Google+, YouTube, Instagram, Flickr, Tumblr and streams of content, called RSS feeds, produced by various sites. You can add content to your magazines using a special bookmark for most browsers on PCs or Macs. When you see something on the Web you’d like in one of your magazines, click this bookmark and a small Flipboard window opens with thumbnails of your magazines, allowing you to add the item. Alas, this bookmark is very difficult to install on the browsers on the iPad and iPhone. There’s a new Notifications feature that tells you when people have liked or commented on your magazines. A “By Our Readers” feature suggests public magazines the Flipboard staff considers outstanding. Publishers are making use of the new magazine feature in Flipboard. Esquire has created a magazine that’s a collection of its interviews and Rolling Stone has published a Flipboard magazine collecting some of its articles on the Beatles. If you find a magazine you like, you can subscribe to it, for easy and continued access, or share a link to it via Twitter, Facebook or email. If somebody who has Flipboard wants to view the magazine, it’ll automatically open. Otherwise, the link will take a person to a Web page with instructions on how to get Flipboard. Unfortunately, what you can’t do is to edit your magazine much, or add original or local content to it. You can’t rearrange articles, or create your own text articles, or add photos or videos that live only on your iPad or iPhone. You also can’t rearrange articles. Because Flipboard is so oriented to pulling in content from online sources, to use one of your own photos or videos in your own magazine, you’d have to first post it to a site like Flickr. To use an article you write for your own magazine, you’d have to first post it online. 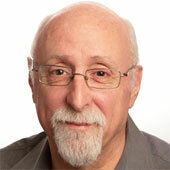 The only tweaking you can do directly is to change the cover picture, which is typically drawn from the most recent article you include that has a photo; remove an item; create and change the title and a short description of the magazine; and change its status between publicly visible or private. You also can’t charge for your magazines or sell ads in them, though any ads embedded in the content you include would travel with that content into your magazine. Flipboard says it expects to add some of these features, like the ability to use photos and videos stored on your device, in updates. 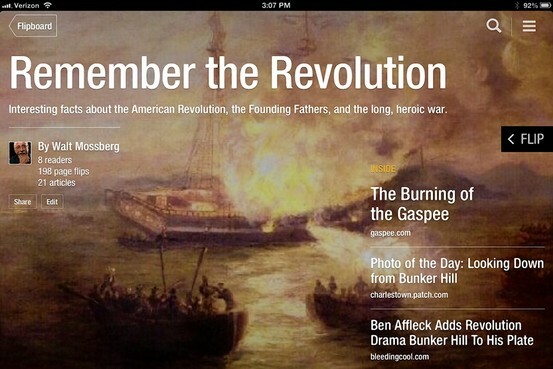 Overall, Flipboard’s new personal magazines are a very good addition to a very good app.